Hi there! I'm here... reading, working and will soon be posting reviews again. I've had a few bad days all around. Last Thursday, I lost my glasses! I spent three days blind as a bat, trying to work without using a computer, which is next to impossible in my line of work, and then trying to finish my days without taking a bottle of analgesics to calm the headaches. No reading for me during that time at all! Plus, no computer when I got home either. By the time my new pair of glasses were ready it was Saturday evening. I do the bulk of my reading and review writing during the weekend, and well... the headaches didn't go away until Tuesday of this week. 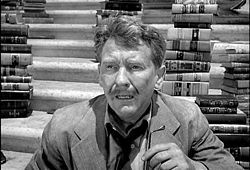 I felt like the man from that Twilight Zone episode, "Time Enough At Last," all those books to read and I couldn't see a thing! What frustration. Whatever happened to my spare pair of glasses? Of course this week I had to catch up on all the work that was neglected due to my blindness! So, late nights, eating at my desk and lots of files to get through at the office this week. Plus, RWA is next week and I'll be leaving early a couple of days in a row and taking one day off to hang out with fellow bloggers, so I want to get ahead of myself so I don't have to worry about work. It's burnout time! 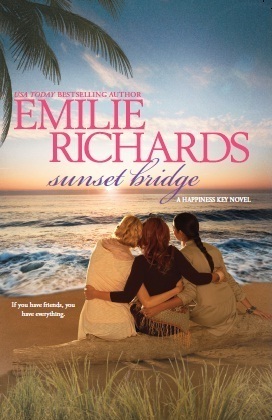 At the moment I'm reading and enjoying a women's fiction book with quite a few interesting characters and situations, Sunset Bridge by Emilie Richards, part of her Happiness Key series. And, slowly but surely, I'm also reading Leviathan Wakes (The Expanse) by James S.A. Corey, a science fiction opera that's going to take me a while to read as it's 592 pages and it's chuck-full of sci-fi details, plus there's a private investigation in it with a mystery and everything... I can't wait to find out what happens in both these books. So what's everyone reading at the moment? What are you looking forward to reading in July? I'm waiting for Mary Balogh's The Secret Mistress. No Man's Mistress is not a favorite for many people, yet I loved it. I'll be curious to see what you think of it. I'm also eagerly awaiting the "prequel" to the Mistress series. So, I'm going to wait a few days before I read No Man's Mistress, maybe read a few other books in between... that's my plan, lol! So sorry to hear about the glasses :( I know I'd be lost without mine! I'd go crazy without my glasses. So glad it finally got resolved for you. Currently, I'm reading Nico Rosso's Pushed to the Limit. It's a scifi romance novella. I'm liking it, so far. 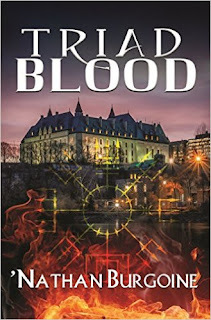 I've seen that Emilie Richards series and have been interested, though women's fiction usually isn't my thing. Nico Russo? I have to check him out... heard of him, but haven't read any of his works. And you know how I love my scifi romance. The Richards book is good so far. I haven't read the previous books in the series... but so far I'm not feeling lost. I have terrible eyesight so I can't imagine not have either my contacts or glasses. Those three days must have felt like 3 weeks! Just started Magic Slays. Love the friendship between Kate & Andrea.